A homestead garden is different from a traditional garden because with a homestead garden, you have one goal in mind: self sufficiency. Sure you garden for enjoyment and for fresh air and exercise too, but a homestead garden provides more by providing the food you need to make it through the rest of the year. 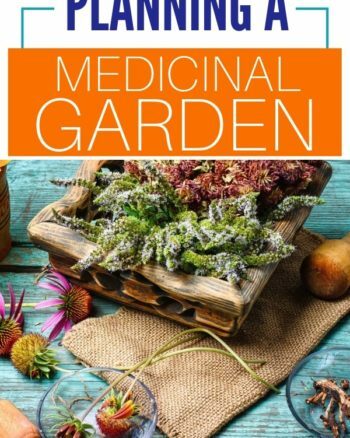 So how can you plan the best homestead garden? Look below at tips for planning your homestead garden so you can be sure it has everything you need for a successful planting. Plant seedlings that will offer spring, summer, and fall harvest. You want to make sure the seedlings you are planting will be available for harvest during spring, summer, and fall so you are spacing out your growth. Check the varieties you plant to be sure you have spring, summer, and fall produce in the mix. This way, your garden is constantly producing food for harvest. If your family loves tomatoes and you like canning sauce and salsa, one or two tomato plants won’t be enough. Do the math to decide how many pounds of produce each seedling will grow. Use those numbers to decide how much of each variety you should plant. Remember you can also space out plantings so when one stops producing, another one will. Have preservation plans in place. Decide if you want other food options alongside your garden. 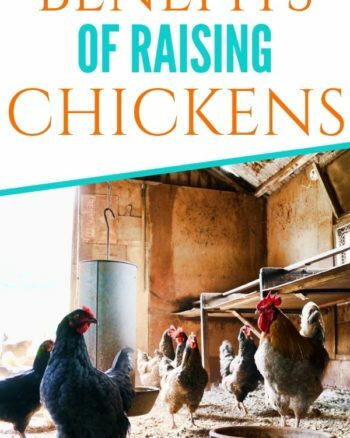 Do you want free range chickens? Bees? An herb garden? Think about the other food sources you can plan along with your garden. This will help you decide how much space you need when planning all your backyard ideas. Find ways to utilize the entire plant if possible. Don’t let any part of your homestead garden go to waste. Place stems and foliage you can’t eat into your compost bin. You can also see if the leaves of any of your plants have any nutritional benefits. Save seeds from produce that has fallen off the plant and began to rot. 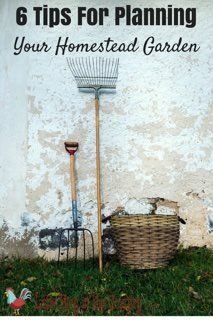 Try to use as much of the garden as you can, not letting anything go to waste. To save money and resources, implement a rain barrel or rain buckets to contribute to the watering of your garden. This way you can give it the water it needs without having to rely on plumbing/city/county water. You will save resources, and save the planet at the same time. 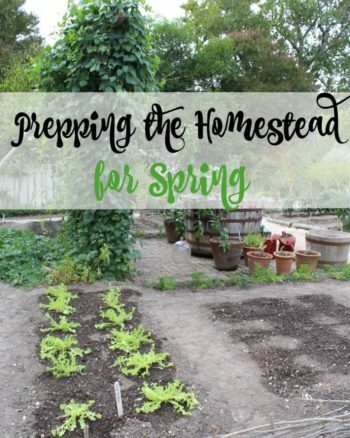 Try these tips for planning your homestead garden and see how simple it can to create a garden that is sure to deliver the produce you need for survival!